If you get one of these in the mail ... tear it up! 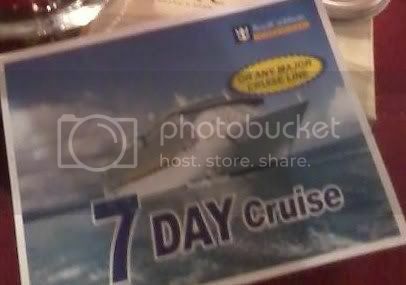 In a recent post, I mentioned a postcard that I had received in the mail about a free 7-day cruise. As I had also mentioned, Ken was told the we'd have to drive to New Orleans to attend a one-hour "presentation" about a buying club. We wouldn't have to join the club to get our free cruise, just listen to the presentation. So, we made an appointment. Ken and I have been to several time share presentations, so we've experienced the high pressure sales pitch before. We've always been good at sticking to our guns and saying "No", even when we attended a time share presentation in Cancun that almost got really ugly. After an hour and a half of saying, "No thanks" to a revolving door of salesmen, we finally stood up and said that we were on vacation and would not be staying any longer. We were not interested in their time share and we wanted our free marine park pass that we had been promised. The "big cheese" guy got really angry and aggressive and said that there was no way that we could say that they weren't offering us a great deal! We again stated that we weren't interested, although it did sound like a pretty good deal. (They had come off like $4000 from their original sales pitch). We finally got our free marine park pass (which was awesome) and have never attended a sales presentation since. That was about 8 years ago. Anyway, I started thinking more and more about this "free" cruise. When we made the appointment for the presentation, we were also told that we would have to pay a $50 transaction fee per person. That didn't sound bad to me for a cruise. I'd be happy to pay the $100 at the time of booking. However, Ken and I just didn't have a good feeling about this presentation that we were to attend. What if there was some other catch? Our work weeks have been crazy lately, and we really didn't want to spend the time or the gas money to drive about 45 minutes to New Orleans on a work night. So, the day of the presentation it occurred to me to do a little research on this postcard. That's when "Google" came in handy! I pulled out my magnifying glass to read the tiny mailing address on the postcard and then proceeded to "google" it. There wasn't any company name on the postcard, which was a red flag. After entering the complete mailing address, I immediately came across several links with the address and the word "Scam"! I clicked on a few of the links and quickly realized that Ken and I wouldn't be wasting our time attending the presentation. Basically, I found out that after attending the presentation the "attendee" would then be given a voucher to take home and fill out. The next step would require mailing the voucher to the address given, along with a $99 money order for the processing fee. There would be no phone number provided at the presentation or on the voucher to follow up on the cruise. If you had any questions or problems, you would only have an email provided as their contact information. So, let me get this straight. We're supposed to go home, mail a $99 money order, not be given a phone number to contact anybody, and then just wait?! I don't think so! While Ken and I would have never mailed a payment to a place without even a phone number, we could have easily wasted a total of over 3 hours (presentation and driving) of our time. I'm writing this not only to inform others about this scam, but also to remind everyone about how useful the internet can be. Whenever you have a question or doubt about something, just "Google" it. If there are complaints, you'll find them! In fact, here's a little video that I found about this cruise scam. Thanks to the internet, these kinds of crooks won't get away with near as much "stealing"! So, Ken and I aren't going on a free cruise but I'm just thankful that I thought to look on the internet and do a little research. I also found out that those that paid the $99 fee never received their cruise information. In fact, one person went as far as to send a certified letter to the same address that he had mailed his money order to ... it came back to him as "undeliverable". Go figure! The day after we missed the presentation, Ken received a call from a woman regarding our missed appointment. Ken was happy to tell her of my Google search and findings. Of course, the woman was suddenly in a hurry to get off the phone, offering her thanks and stating that she'd "make a note of it". She made no apologies or explanations for what I found ... hmmm. I really hate that there are so many crooks out there these days. However, it's a sad reality and we all need to be aware ... and be cautious! While it is not free....I have heard of a couple of folks in LA who have a sailboat, I think she has a blog. 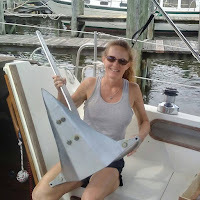 From the pix on their site they seem OK and would probably be fun to sail with. I'm SURE you could trust them!!! Glad you found out that this was a scam before you got taken! I am so skeptical of anything "free" that I absolutely NEVER proceed with anything that is advertised this way. Fortunately, so much can be discovered by googling these days, no one should ever fall for these sorts of things...but people still do. Could you post a copy of the letter? I would be interested in seeing it and passing on to my friends. Glad you saw through the scam! Barco, I only received a postcard which I included a picture of at the beginning of the post. I had taken the picture with my cheap cell phone, so unfortunately that's all I've got. However, the picture should be a big help. Evidently, this postcard is mailed out throughout the country pretty often. If it's too good to be true then it is a scam. We just toss that stuff. Probably we should report these thieves. Glad you didn't waste your time or money on this. Scams and Pirates aplenty on the high seas! Always good to use your head. 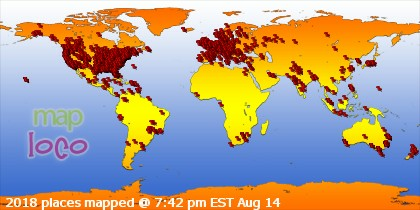 Glad you all did and were spared. Ugh...It's the worst thing when people try to get over on you.. at least you didn't have to listen to a presentation and be sold hard. (note: that's an exact copy of the URL, even though it looks truncated). After that, nothing I do will bring up your site for more than a couple seconds before it automatically shifts to the webring. The only way I finally was able to post this comment was to stop your page loading before it was completely finished. Something's fishy.